It is hard to keep loving our clothes and keep wearing them season after season when we are tempted by newly made clothes arriving in stores every week. But before you head out to the summer sales, do spare a thought for the impact of fashion on the environment. In 2016, in the UK alone, 300,000 tonnes of textiles ended up in landfill. The average lifetime for a garment is estimated to be about 2.2 years, roughly half of what it used to be in 2000. Extending the life of clothing can significantly reduce its environmental impact. 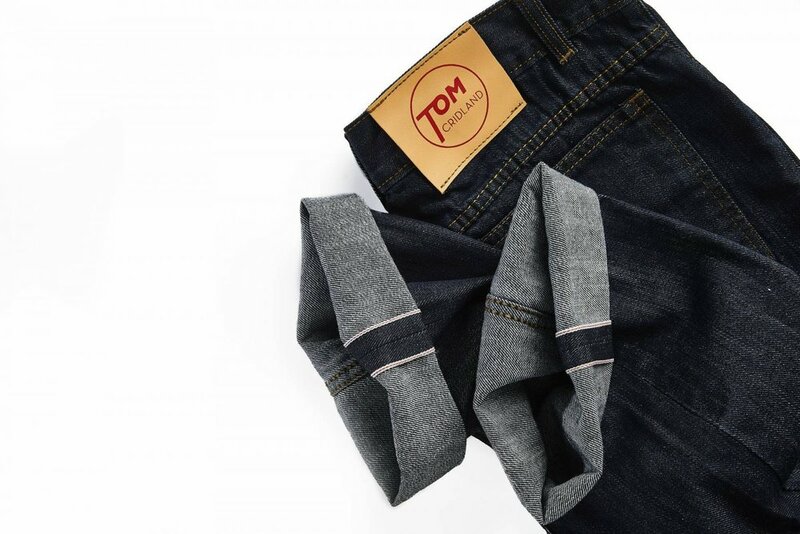 With this idea in mind, Tom Cridland, a young British entrepreneur, launched his sustainable brand and now is set to launch the first pair of denim jeans with a 50 year guarantee. The concept of ‘durability’ is the essence of Tom Cridland’s brand. Tom launched the brand that bears his name back in 2014 with £6,000 received from the Government’s start-up loan scheme. His first collection named ‘The 30 Year Collection’ was conceived after watching the documentary The True Cost by Andrew Morgan, which unravels the grim world of fast fashion. The collection is made of staple garments such as T-shirts, shirts, sweaters and trousers sold in a variety of colours and that come with a 30 year guarantee, which means that if anything happens to that garment within that three decade period, the company will repair or replace it for free. The new denim jeans line, which has raised £18,655 from 218 backers on Kickstarter, will have a 50 year guarantee thanks to the combination of high quality Japanese selvedge denim, sourced from Okayama, and ultra-durable Spectra fibres that are claimed to be15 times stronger than cable steel. According to Tom Cridland “Half Century Jeans are specifically designed to look better with every wear but, should there be anything that needs repairing or replacing over the course of the next 50 years, our team will do this immediately and free of charge.”, so why not give it a try?